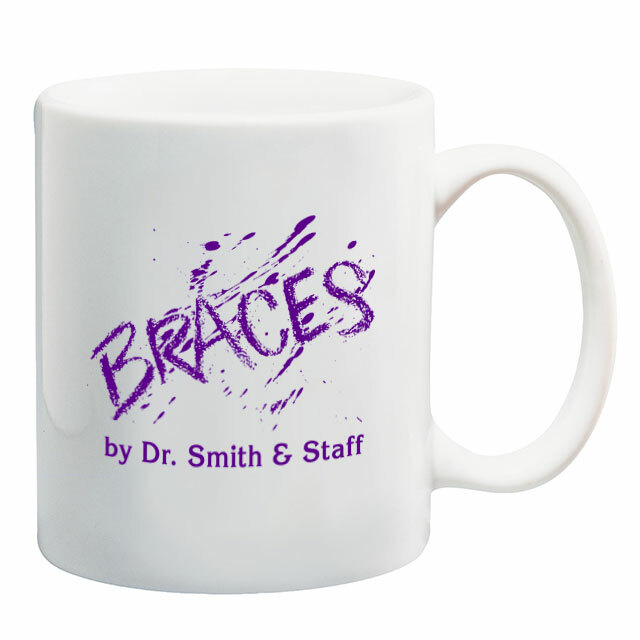 Your patients or referring dentists will drink in style from our high-quality ceramic mugs. Available with logo on one side and your personalization on the reverse side. Colored mugs also available (see colored mugs). Metallic inks can be ordered microwave safe and are available for $1.50 each per side.